I am curious, will Diablo 3 have a mature rating? 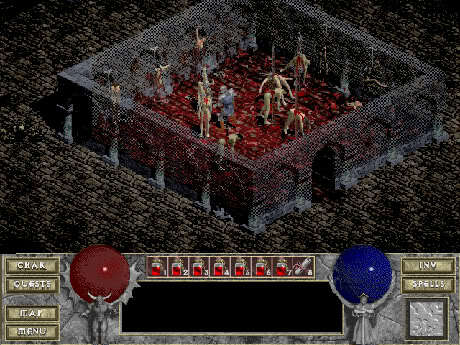 I can’t remember if Diablo 1 had a mature rating but it added a lot of good atmosphere feel to Diablo 2. If you can remember while running in the Catacombs before Andariel and seeing bodies on torture mechanisms with their intestines hanging out. That was some amazing work. Bashiok: We’re planning for a Mature ESRB rating, which is what Diablo and Diablo II were rated. Of course the translation of that rating to the systems used in other countries may differ. I didn’t think I’d ever see someone pine for the dark, gruesome style of Diablo 2 over the thematic approach of Diablo 1, but once again the users of the Battle.net forums have proved that nothing is impossible. Incidentally, the M-rating issue was discussed in much more detail by Game Director Jan Wilson in an interview from last year’s Blizzcon, if you’d like to learn more about it, and why German people can’t buy games that show a lot of blood.